Steel Powder Coated Up and Over Garage Door. Heavy gauge high quality steel chassis and panel, galvanized and powder coated. Invisible secret weld technology ensures high strength. No ugly pop rivets. 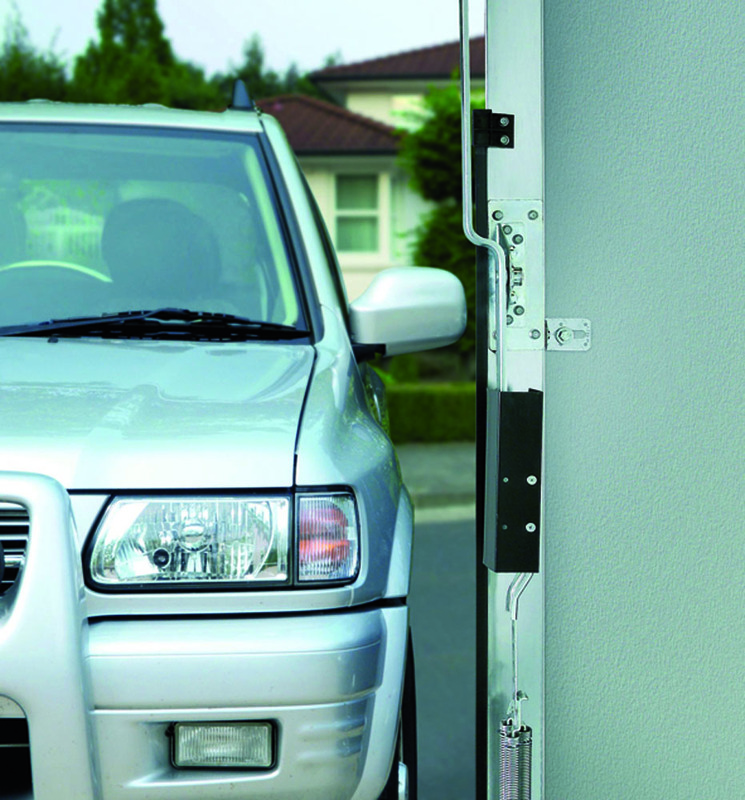 Two point rod operated locking, ergonomically designed internal and external handles, Euro lock profile cylinder with keys. Fixings to fit to timber goalpost frame or, if fitting with pre-installed steel fixing frame, bracket kit included. Four point locking available at extra cost. CE marked anti-drop device on all models. Rear of canopy door showing optional four point locking. Counterbalance system consists of overhead torsion spring and shaft fitted to rear of head frame. Canopy doors have vertical tracks on the back of the frame. Approximately 1/3 of the door height forms a canopy when open. Canopy mechanism is not ideal for automation - see retractable. Canopy door installed on a steel frame. 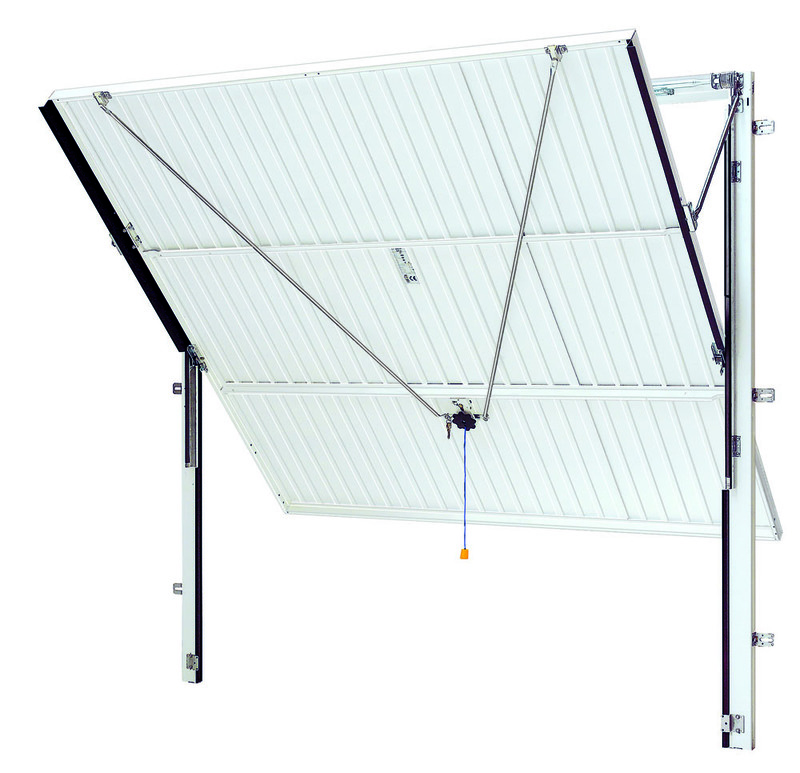 Horizontal tracks suspended from the ceiling or sidewalls support the door in the open position. 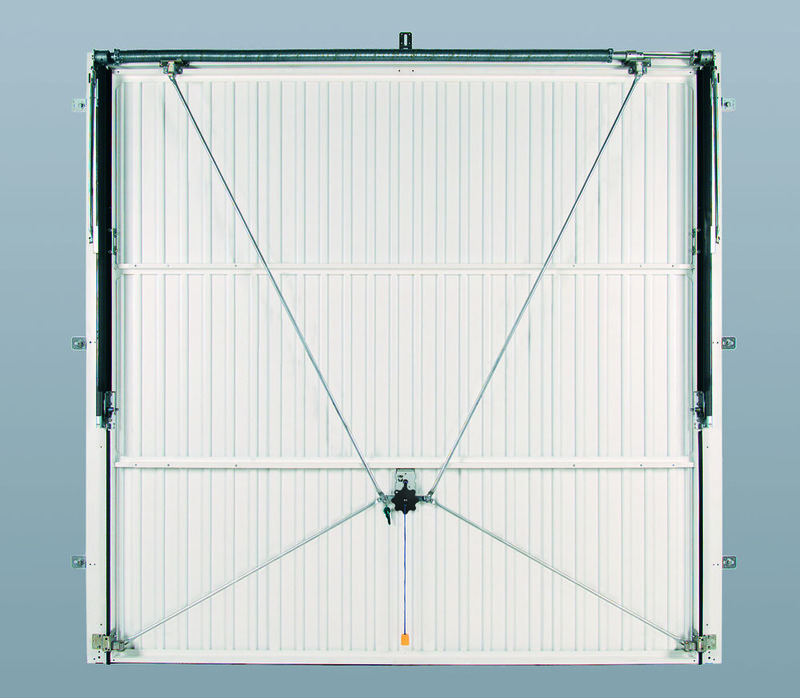 Retractable doors fully retract into the garage along ceiling mounted tracks. Robust mechanism. Ideal for automation. 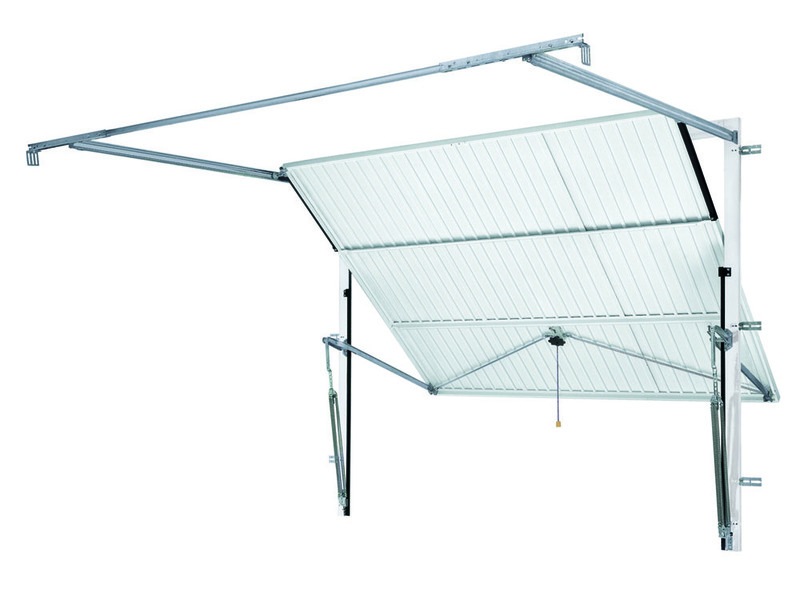 Extra safe multi-spring counterbalancing ensures light smooth operation and safety. 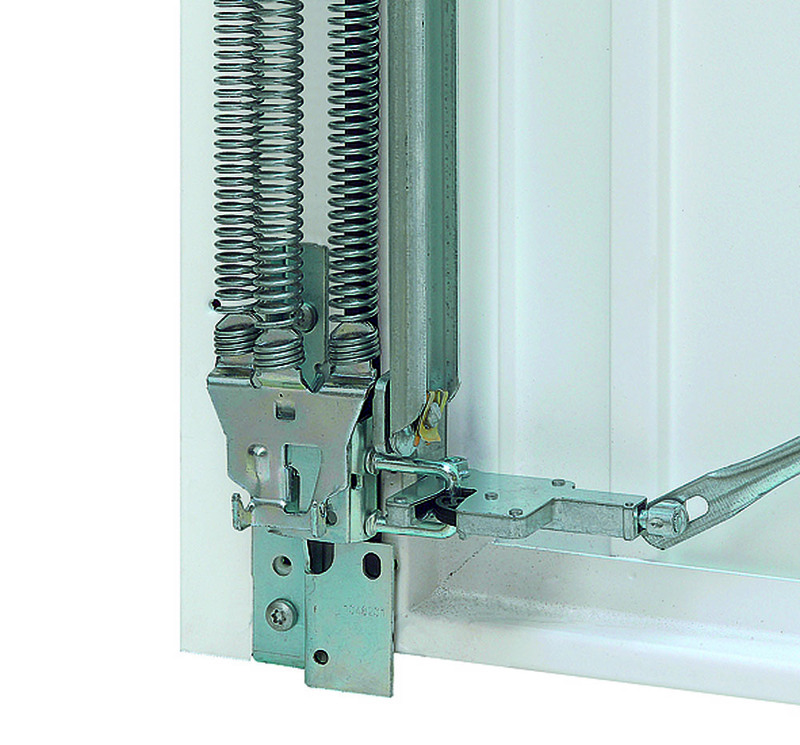 Minimum three springs each side, upto 6 on large double doors. If a spring brakes the door will not fall. Extra small spring windings prevent finger trap for small children. Burglar resistant latching. 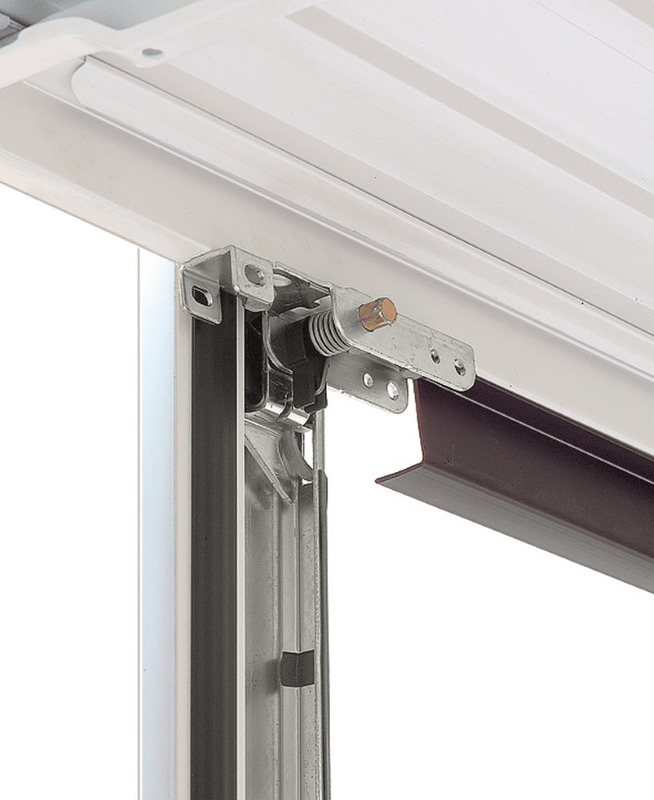 The new Hormann bottom latch design fixes the bottom corners of the door to secure steel bars. Top latches (4 point locking upgrade) available. 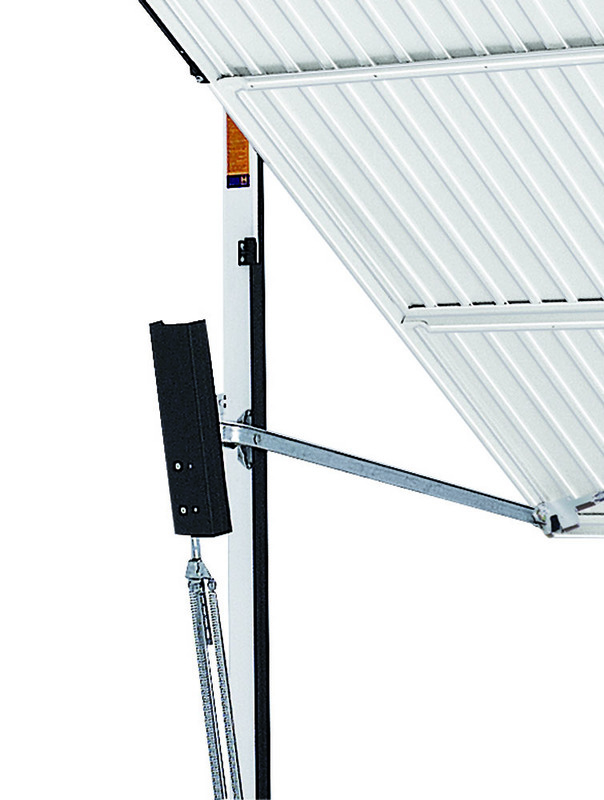 Retractable plus gear, available at small extra cost, is ideal for doors upto 7’6” wide to ensure maximum entrance width is achieved. Track roller well at rear of track allows the roller be gently retained in the track to prevent accidental closure of the door. Retractable door installed on a steel frame.